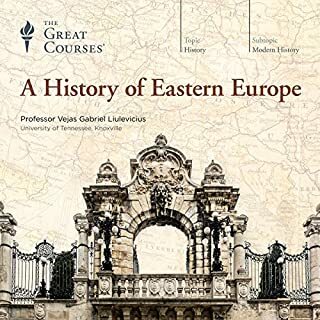 Eastern Europe has long been thought of as the "Other Europe", a region rife with political upheaval, shifting national borders, an astonishing variety of ethnic diversity, and relative isolation from the centers of power in the West. It has also been, and continues to be, pivotal in the course of world events. A History of Eastern Europe offers a sweeping 1,000-year tour with a particular focus on the region's modern history. This course chronicles the history of Earth and life on Earth from the point of view of the minerals that made it all happen. A major theme is how minerals and life coevolved, leading to the unprecedented mineral diversity on our world compared to the other planets in the solar system. 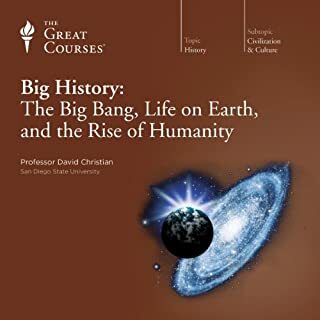 Professor Hazen tells this epic story in 48 action-packed lectures that take you from the big bang to the formation of the solar system to the major milestones that marked the evolution of Earth and life. He also looks ahead at what to expect millions to billions of years in the future. It's easy to think that the green Earth dominated by life that we experience today is just as it's always been. But Professor Hazen introduces you to a succession of starkly different Earths, starting with the black, basalt-covered planet of 4.5 billion years ago, and progressing through blue, gray, red, and white phases as Earth, minerals, and life developed in concert. 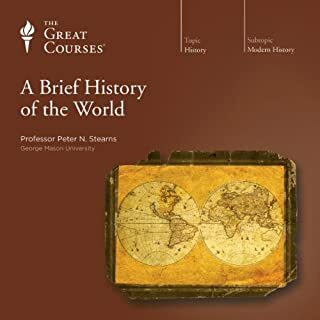 Major episodes covered in these lectures include the formation of the moon from the collision of a Mars-sized body with the early Earth; the Great Oxidation Event, which was sparked by the earliest photosynthetic life and is responsible for Earth's iron and other important mineral deposits; the formation of the first continents; the start of plate tectonics more than 3 billion years ago; the repeating cycles of supercontinent formation; the Cambrian explosion of life, resulting in the first animal shells, bones, and teeth; the great episodes of mass extinction, including the dinosaurs; and the rise of humans - along with much else. Most impressively, Professor Hazen is a pioneer in the study of mineral evolution, which is a unique lens through which to view the development of Earth. He tells the story with authority and with a rare gift for making you see the world in a new, intriguing way. 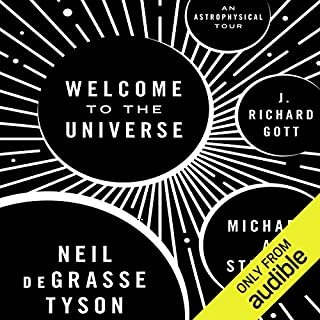 Where does The Origin and Evolution of Earth rank among all the audiobooks you’ve listened to so far? By far the best. As a professional geologist I was amazed at how accessible he made some of the more difficult concepts of geology. He also demonstrated very clearly the two-way relationship that the geosphere and biosphere have with each other. 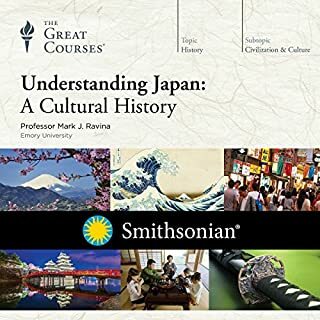 Make no mistake, this is a long book, but definitely worth it. 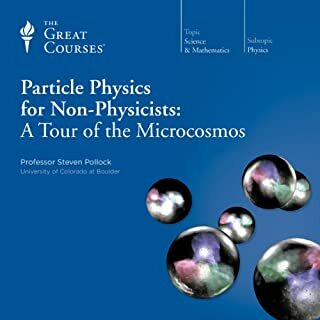 From this single lecture series, you will have a very strong fundamental understanding of the physics of the early universe, stellar formation, the formation and evolution of the Earth's geology and geologic processes, and a good foundation of biological evolution. 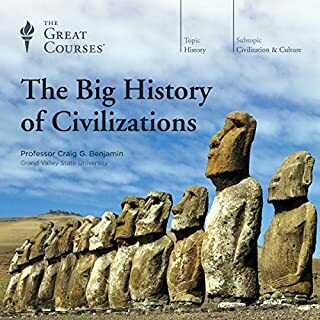 I read a lot of popular science magazines and books and there is not a single location where an educated layman could possible leave with so many concepts wound neatly together from various disciplines. It is masterful. I was amazed to learn how sophisticated research tools have become so effective in uncovering the origins of our universe. As a physician I take for granted how our research tools are used in the study of life sciences--but never fully appreciated the close link between earth science and biology. Professor Hazan is a fabulous lecturer. His passion and enthusiasm is matched by his knowledge and creativity. Highly recommended. On a subject that could be as dry as the very rocks he speaks about, the author brings this science alive and accessible to a lay audience. Each episode is fascinating and compelling and the delivery of the author is superb. 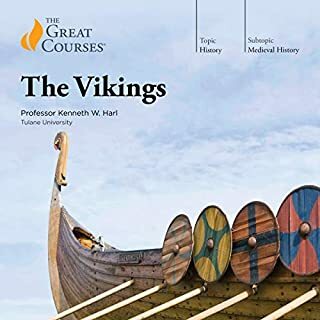 This audiobook exemplified "Don't judge a book by it's cover". I bought it in a bit of hurry and only read the title. Had I read the description I would have never bought it. Like many people I think geology and rocks are boring. Thus a description of a book telling me it is the main focus of the content would instantly make it a "nah, I'll pass". But that, in this case, would have been a monumental mistake. 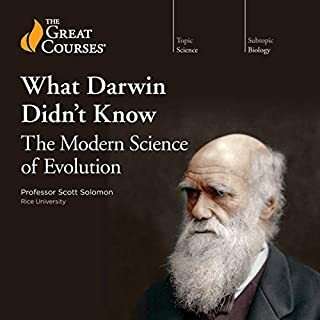 The first third of the book is indeed a little rocky, it is basically a crash-course in geology and mineralogy told via the evolution of earth pre-life. This would normally put me off in a major way, and I frequently considered just putting the book down and storing it away under "Mis-guided purchases". 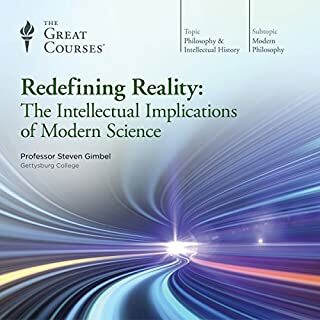 After the crash-course, when I had learned enough to actually begin to see the connections to "real life" and the grander mechanisms, when I had the large picture put together, I was increasingly happy about sticking with the book. I felt very much like Neo from the matrix waking up knowing kung-fu. 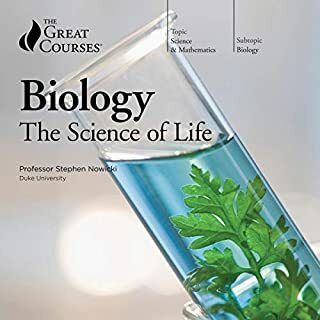 And the last 2/3 of the book were a tie-in of geology to biology, somewhat persuasive to someone like me who had not really considered it before. Never judge a book by it's cover. I bought this book intending and hoping to learn about the evolution of life. And I did, very much so. Thoroughly and from beginning to recent times. But more-so I learned about the canvas that life used to evolve. Earth. And THAT was a lesson I had neither expected nor knew I needed. The topic is dense but fascinating, and I am not being tested on mineral names, so I feel free to forget them. But early in the chapter on bio minerals he makes a huge mistake, and this is the only bit of the book I know enough about to spots flaws in, so it is a bit worrying. He seems to be an expert mineralogist, but he said he was talked out of taking biology in undergrad, and well. While talking about the origins of eukaryotes, he starts waxing enthusiastically about the endosymbiosis theory of the origin of the nucleus, which he claims is almost universally accepted. This is not true. It isn't even a common minority opinion. Anyway, the nucleus holds the DNA and is an unlikely spot for endosymbiosis. The two membrane bound organelles widely thought to be endosymbiotic in origin are mitochondria and chloroplasts. And this isn't a small slip up; he goes on about the importance of the nucleus and of endosymbiosis repeatedly. Oh, yea!He is brilliant & interesting. 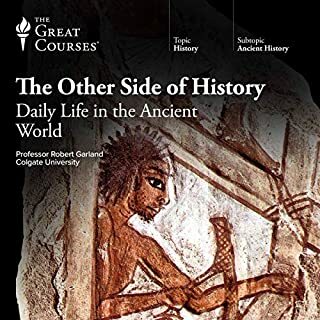 What other book might you compare The Origin and Evolution of Earth to and why? Cosmos: A Spacetime Odyssey by Carl Sagan. He makes the most complicated theories sound like a suspense book! 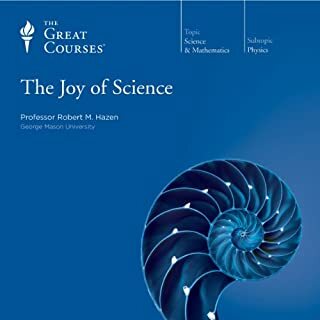 Have you listened to any of Professor Robert M. Hazen’s other performances before? How does this one compare? His voice, his excitement throughout. 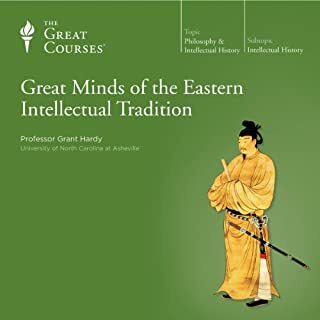 Hazen's expertise in and love for his subject were clearly evident in these lectures. 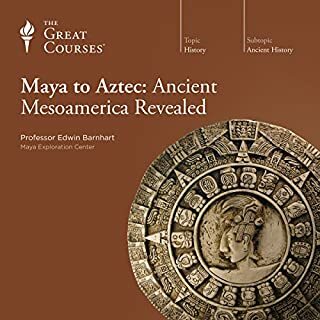 The subject matter was very new to me and while I will need to listen a second time to fully grasp much of the nuance of the concepts, I never thought I would find geology so interesting. I plan to seek out his "Origins of Life" course next. 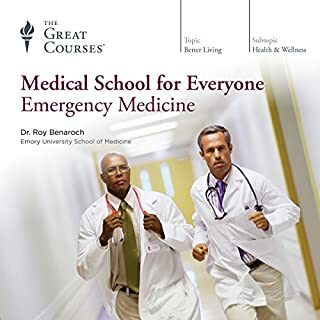 I highly recommend this course. 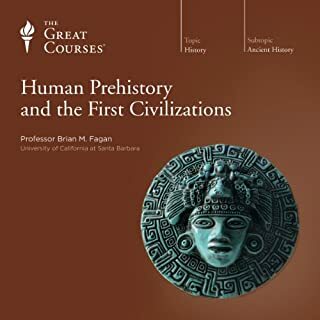 This is one course that makes me want to listen to more courses by Professor Hazen. While I don't subscribe to some models he explains, it provided me with an alternative possibility of the history of the Earth. 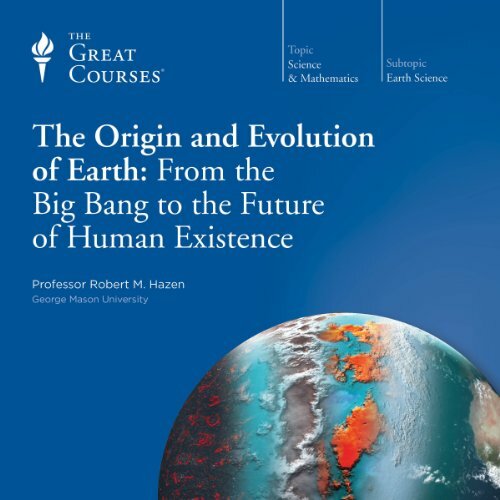 Would you consider the audio edition of The Origin and Evolution of Earth to be better than the print version? Which character – as performed by Professor Robert M. Hazen – was your favorite? Yes. Could not manage it all. This includes the only complete and understandable description on how elements are made and thats just for starters. I am versed in much of this stuff but recommed the book to all comers.